I've been MIA on my blog this past weekend, but good thing my exciting and exhilarating life is stalkable somewhere on the interwebs. 1. Scenes from apple-picking with Jeremy and his mom at Terhune Orchards. LOOK AT ALL THOSE APPLES. 2. 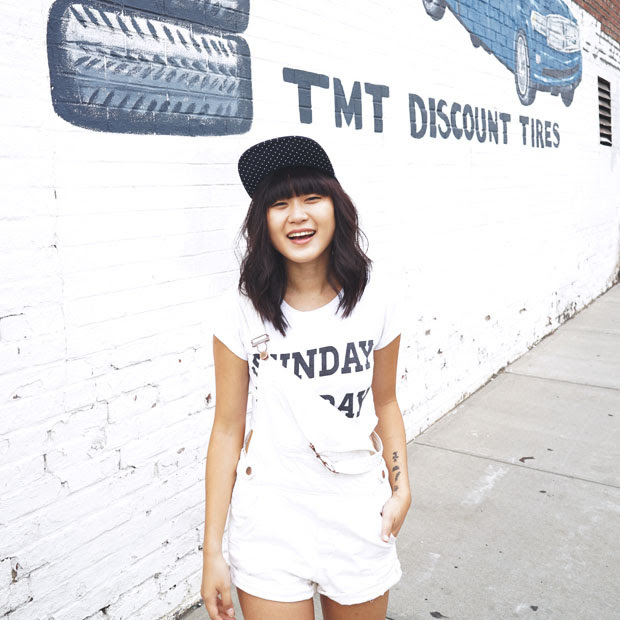 Wandering aimlessly and cheesing around New York City because I can. 3. Another round of #NameTagFriday at my office. Last Friday, the question was "What natural element would you be?" 4. Jeremy proving that he has what it takes to be a style blogger too. Check out those high-waisted pajama pants. 5. Bonobo. Absolutely amazing in concert and Grey Reverend has an incredible voice. If only I didn't decided to wear heels for a concert where I would be standing for 2 hours straight. Good choice, Jen. Good choice. 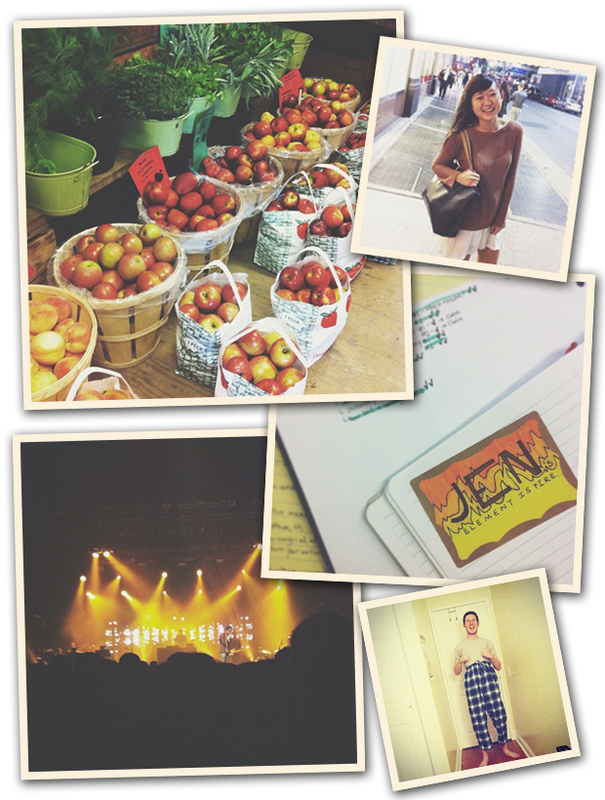 Follow me on Instagram for more delightful JennifHsieh adventures. that photo of jeremy is EPIC! hahaha!! I am just getting into instagram now I have a smart phone and these pics are adorable. I am _susiesnaps, I have to get following you!